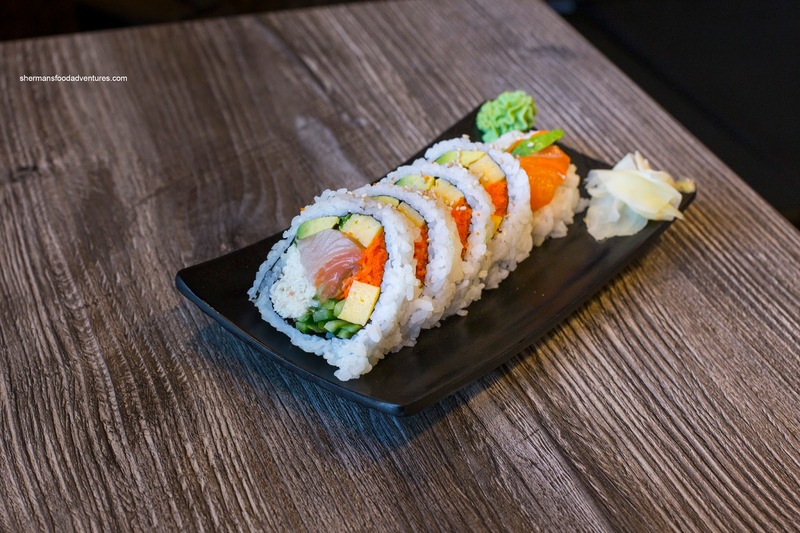 My original experience with Tobiko Sushi was completely random. I had just finished up a meeting in the area and was in search for eats. I was going to head to the Wendy's, yet out of the corner of my eye, I spotted Tobiko Sushi. Hey, Japanese food on the whole is better than eating burger and fries right? That could be totally false dependent what you order I guess... Whatever the case, I ordered the chirashi don and to my surprise, it was one of the better ones I've had of late. Since I was in the area again, I stopped by to have that dish and a few others as well. Look at the picture. Look at it! The Chirashi Don in all its glory with only a tiny amount of sushi rice. This was only $16.95 where it could rival most assorted sashimi plates. 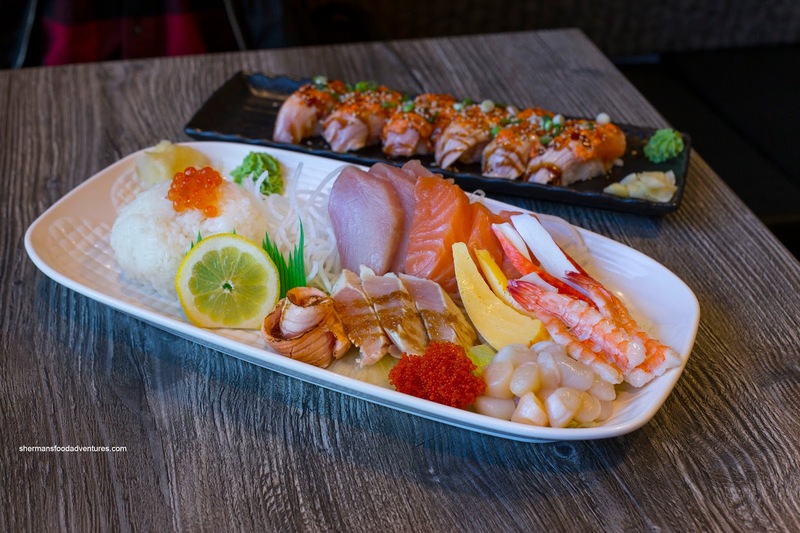 It consisted of salmon, tuna, ebi, tamago, imitation crab, tuna tataki, tobiko, ikura, seared salmon and baby scallops. Judging from the fresh sheen, we were confident that the fish would be on point. That is was being the right textures and surprisingly flavourful (given the price point). The sushi rice had enough moisture while still retaining an appealing chewiness. Although the don was not plated in its usual bowl, I preferred this as I could eat more easily. 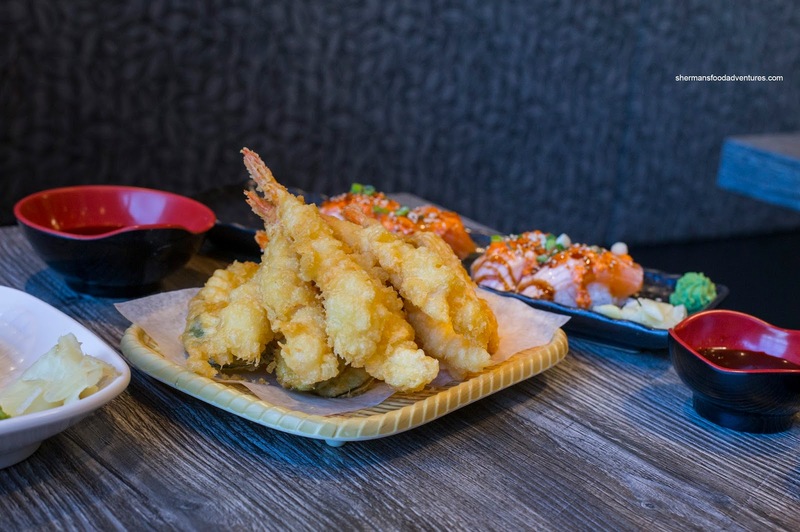 Much like the last time, I also had the Assorted Tempura which was a generous portion. Each piece was relatively crispy and light except for a few portions where the batter was thick. It didn't matter much as it wasn't much of a hindrance. 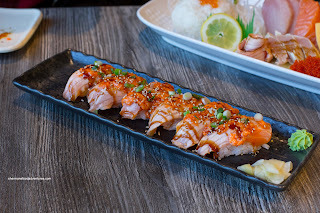 We decided to give the Aburi Salmon Nigiri a try and it was interesting. This was rather saucy, but not as flavourful as it appeared. The salmon was buttery soft while lightly seared. A more aggressive char would've helped adding smokiness and caramelization. The rice was good though being chewy with enough moisture while lightly seasoned. 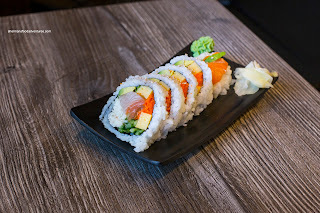 For no apparent reason other than needing to get a standard maki roll, we also added the House Roll consisting of tuna, salmon, tamago, imitation crab, cucumber, carrot and tobiko. This was carefully constructed where the ingredients stayed put while the layer of rice was thin. Similar to the aburi nigiri, the rice was chewy and had just the right amount of moisture. Ingredients were fresh too. 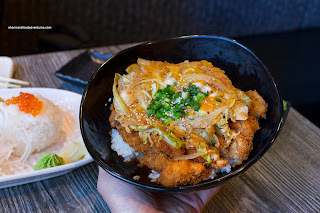 Lastly, we got the Katsu Don for good measure (like we actually needed more food). As you can see, the portion size was massive. Mostly crispy, the breaded chicken was tender and succulent. I thought that the amount of sauce made the rice a bit mushy on the bottom. However, when mixed together, it wasn't too bad. Interestingly, even though there was so much sauce, we could've used a bit more impact though. Tobiko Sushi is very much another neighbourhood Japanese restaurant. Therefore, I wouldn't suggest driving out there for a meal. 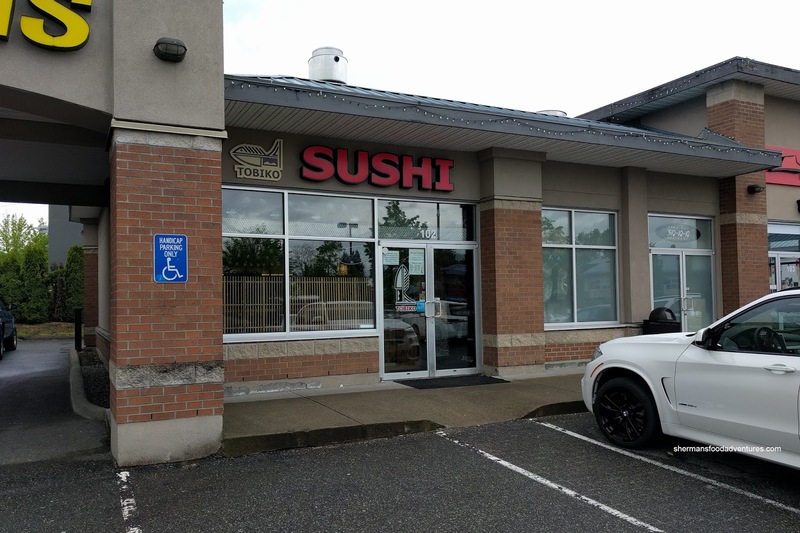 However, if you are in the area, it is good quality food for a reasonable price.